Are our kids too clean? 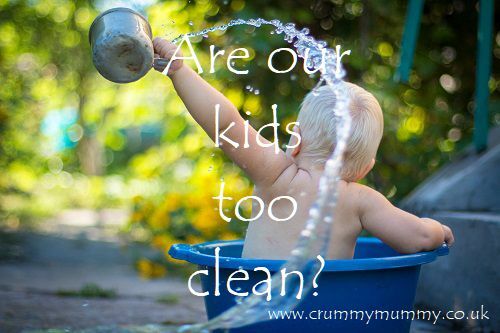 Are our kids too clean? I ask because we bath our kids by default every day. We’ve had a ‘bath, book, bed’ routine ever since the oldest was a baby, and we wash their hair every day too. But is it really necessary? It was only when we went campervanning with the kids earlier in the year that it occurred to me perhaps we wash them a bit too much. Owing to the fact we were staying in a field they had just one shower during our week away, and interestingly the littlest one’s eczema all but cleared up. There’s also a raft of evidence suggesting a bit of dirt is good for us too: boosting and strengthening immune systems and leaving us better able to fight off bugs. I have one friend who doesn’t bath her kids at all. She has three boys and says they simply make too much mess, so she showers them instead and treats their weekly swimming lesson as their ‘deep clean’. I don’t remember having a bath every day when I was little either, and I’m pretty sure hair washing was a once-a-week thing too. 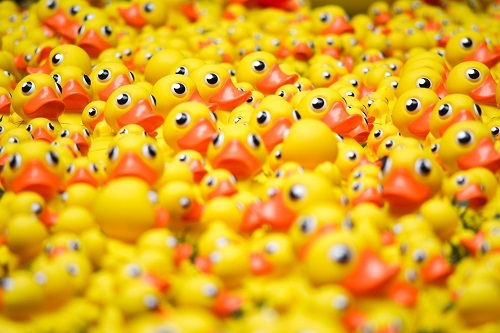 So, are those of us who bath our kids every day doing them a disservice – and creating even more work for ourselves? I asked some fellow parenting bloggers about their bath time routines and it turns out my kids probably are too clean! What do you think? Are our kids too clean? How often do you bath yours? I’d be really interested to know! Win tickets to The Baby Show at London Olympia!